Alternative rock band Up Dharma Down has made a big change to their career as Armi Millare (vocals), Carlos Tanada (guitars), Paul Yap (bass), and Ean Mayor (drums) welcomed 2017. 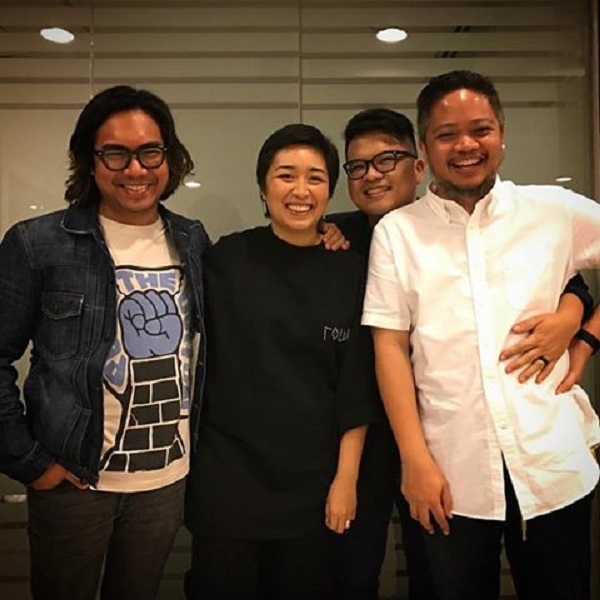 In line with the release of the band's newest single "Sigurado," Millare announced that she, together with her bandmates, will no longer be performing as Up Dharma Down but... UDD. "Goodbye Up Dharma Down, and hello UDD from the moment it is available on Spotify 12MN on January 1st 2017. Cheers to more music and to all the good things we can still experience and work hard for!" she concluded. "Sigurado," which showcases a bit new sound from the band, is now available on Spotify. What do you think about the new name? Comment below!